Former British Prime Minister Tony Blair came to the defense of Ehud Olmert as a character witness in the corruption trial against the former Israeli premier in the country’s Supreme Court. 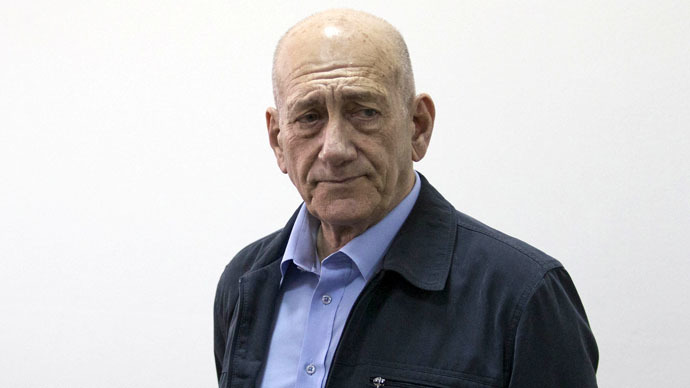 In a retrial in March, Olmert was convicted of receiving $600,000 (£400,000) in cash-stuffed envelopes between 1993 and 2002 from an American businessman, Morris Talansky. The prosecution asked for a prison sentence of between eight and 18 months. Olmert’s defense team brought forward character witnesses, including Blair and security officials such as ex-Mossad chief Meir Dagan. “The real punishment is the shame,” Olmert said. The court will announce its sentence in three weeks. Olmert already faces another six-year prison sentence in a separate bribery case for accepting payoffs linked to a massive real-estate development in Jerusalem when he was mayor of the city.